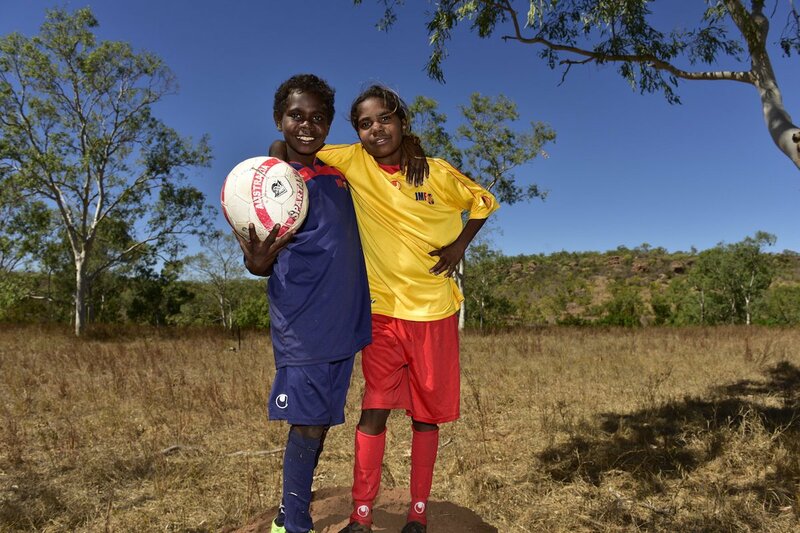 As John Moriarty, of Borroloola and nearly of the Socceroos, spoke on the Desportiva Ferroviaria pitch, one of his young proteges from Borroloola kept looking back over her shoulder at her teammates and their ball. Brazil or Borroloola, it did not matter to her. The ball did. Ditto for the other natives of Borroloola in the Northern Territory, inland from the Gulf of Carpenteria, brought here under Moriarty’s aegis to expand their horizons and help to expand the horizons of others. They were happy enough to meet Socceroos coach Ange Postecoglou and superstar Tim Cahill, happier still when the cueing and clicking and smiling until it hurt was done and they could get back to the ball. Moriarty smiles to see it; there was a time the ball was all that mattered to him, too. He would chase it up and down the training ground, chase it to the corner flags and into the six-yard box, chase until he could chase no more, chase until suddenly Australia was chasing him, and he was selected for a game in Singapore. It was never played. It was 1960, and in the moment he was picked, Australia was banned from international competition for what would become six years. By then, a head-on collision with a goalkeeper had put paid to Moriarty’s soccer playing days. It meant, in a sense, that he had both his heritage and his destiny stolen from him. Widen the lens. When the Borroloolans in their shiny Australian T-shirts walk the streets, they are hailed wherever they go, says Moriarty. The locals don’t know who they are or where they come, but they do know that they are here for the soccer, and so are not strangers at all. Moriarty smiles to see this; here is the spirit of inclusion he first discovered as a young man, a stolen generation survivor who found among the ex-pat soccer communities the sort of acceptance that mainstream Australian sport would not afford him at the time. His first mentor was an Irish immigrant, ex-British army, his first club formed by Italians who re-baptised him Gianni Moriati. Brits, Italians, Croats, Serbs all opened doors and hearts to him, until at last he became the first original Australian to be picked for Australia. The newest Australians had paved the way for the oldest. 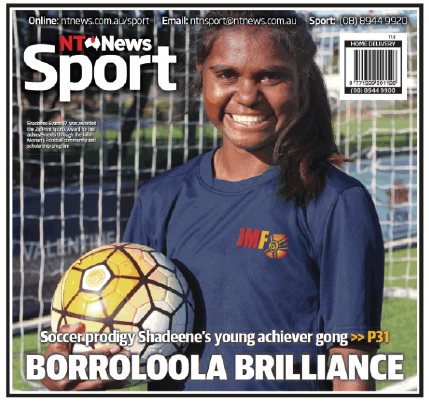 Moriarty would love nothing more now than for one of these Borroloola kids to follow in his footsteps. Pan further out. In the stands at this steamy lunchtime are perhaps 3000 Vitoria schoolchildren, whose excitable trilling, sometimes rising to a shriek, makes the stadium sound like an aviary. Australia is a soccer nobody, and the kids cannot know who they are acclaiming, except perhaps for Cahill. But this is the World Cup, in what cabin announcements keep calling the “land of soccer”, and that is enough. “Welcome Australia, we’re with you,” says a stadium billboard, adding this wry addendum: “But only until you play against Brazil” As if. Moriarty would smile at this, too. Here is the game as a lingua franca, whose cadences he learned on a trip to England when invited for trials at Arsenal and Tottenham, and while travelling in Europe afterwards. Everywhere, he found a football and a welcome. Moriarty senses it is close. “We’ve come a long way in Australia, a long, long way,” he said. That’s the soccer club. At the football club one day with his cousin, who played there, the secretary cut him dead. It has not been straightforward; nor will it be for the Borroloola babies. Moriarty has regrets. One, of course was not to play for Australia, nor even to receive the guernsey he was due. Another was to forgo the trials in England; he was young and thought the game would go on forever. But these are far outweighed by the indebtedness he feels to the game. He is 76 or thereabouts – his birth year and date was assigned to him when he was wrenched away from Borroloola as at four because he was a so-called “half-caste” – but far from retired from his vocations in football and art. He has an Order of Australia. He is thrilled to be in Brazil; for anyone with soccer in their blood, this is a pilgrimage. A little part of him is jealous of those inside the Australian changeroom. The best of him is with them anyway. “I felt I was one of those who did my very best in every game, be it at club, level or state level,” he said.